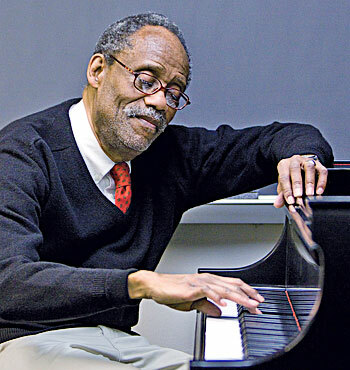 Pianist, teacher, and composer Earl Carter, who joined the Evening Division faculty in 1999, died on July 8 after a long illness at the age of 76. He is survived by his wife, Karen Hartman. Earl Carter taught a number of subjects to students of all ages—and all over the city. Born in Kane, Pa., Carter received his bachelor’s degree in music education from Howard University and earned master’s degrees from New York University and the Manhattan School of Music. He studied composition with Ludmilla Ulehla, piano with Lucy Greene, and jazz piano with Valerie Capers (B.S. ’59, M.S. ’61, piano). Carter’s teaching career began in the New York City public schools. He eventually moved to the Manhattan School, where he taught from 1972 to 1987, and he served as the chairman of the preparatory division music theory department, continuing to teach in what became the school’s precollege division until his death. Other teaching stints included time at Bronx Community, Brooklyn, and Manhattanville colleges as well as Rutgers, where he taught in the music theory department. He also taught theory and sight-reading at the Boys Choir of Harlem school. At Juilliard, he taught music theory and jazz classes. Carter’s compositions include Serenity for solo flute and two woodwind quintets. He served as editor of Intermediate Theory Workbook and Theory Workbook for Beginners and was a co-author of Part-Writing Guidelines and Workbook of Musical Rudiments. He was also a concert reviewer for the New York State Council on the Arts in the 1970s and ’80s. A memorial service will be held for him at New York City’s Riverside Church on September 30 at 5:30 p.m.